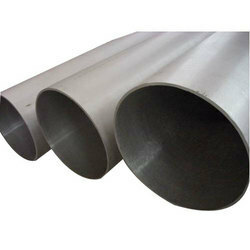 We are prominent trader of a comprehensive range of superior quality Welded Pipes. 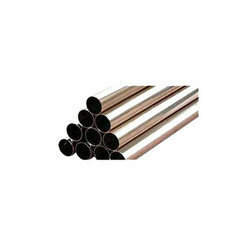 Our range of products in this category includes Cupro Nickel Welded Pipes, Alloy 20 Welded Pipes, Inconel Welded Pipes, Nickel Alloy Welded Pipes, Stainless Steel Welded Pipes, Monel Welded Pipes, Hastelloy Welded Pipes, Duplex Steel Welded Pipes and Titanium Welded Pipes. 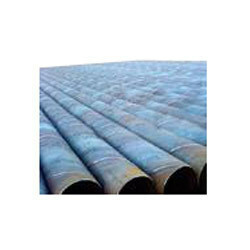 These pipes are provided to our valuable clients at industry leading prices. 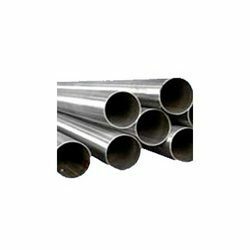 Our company is engaged in providing a wide variety of Stainless Steel Welded Pipes at reasonable prices. Available in various length, outer diameter and wall thickness ranges, these pipes are provided in various standards like ASTM A312, ASTM A213, ASTM A269, ASTM A249 and ASTM A554. 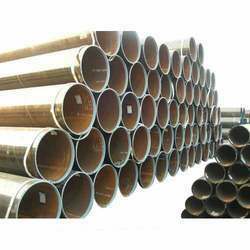 Procured from reliable vendors, these pipes are specifically designed to satisfy various needs and requirements of different clients. We supply and export a broad range of Nickel Alloy Welded Pipes to our esteemed clients situated all over the world. Welded with over alloyed filler metals, these high pitted and corrosion resistant pipes are provided by us in standard dimensions. Designed by industry experts using advance technology, these pipes can also be customized as per the specifications provided by the customers. 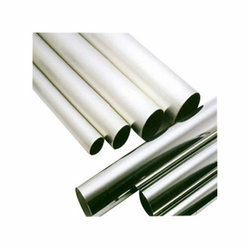 We are well known as a reputed supplier and exporter of a qualitative range of Inconel Welded Pipes. Known for their dimensional accuracy, high pressure handling capacity, smooth surfaces and uniform mechanical properties, these pipes are used for various engineering-related applications. Designed in various length and outer diameter ranges, these pipes can also be custom-made to suit the needs and demands of our respected clients. Being a customer-centric organization, we procure and provide an exclusive range of Hastelloy Welded Pipes to our national as well as international customers. 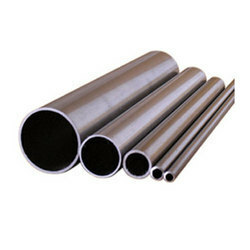 Fabricated from high quality raw material, these welded pipes are available in various grades like hastelloy C-4 (UNS No. N06455), C-276(UNS No. N10276), C 22(UNS No. N06022), C 2000 and ASTM: b622, b619, b622, b626. These durable pipes are offered by us at market leading prices. 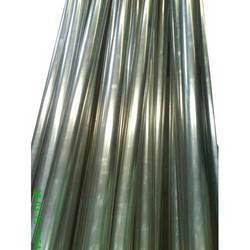 We are engaged in offering a wide assortment of Alloy 20 Welded Pipes at very low prices. Designed under the guidance and supervision of expert technocrats, these pipes are available in various outer diameters ranging from ½ inches to 12 inches. Owing to their high functionality, accuracy, uniform surfaces and smooth edges, these pipes can find their application in engineering-related industries. Being a quality-oriented organization, we offer an array of Duplex Steel Welded Pipes to our global customers. Known for their dimensional accuracy and high tolerance capacity, these pipes are designed from high grade steel to meet the increasing demands of domestic and international markets. These durable pipes can be customized as per the specifications provide by the clients. Our professionals strive to provide a multitude of Cupro Nickel Welded Pipes. Fabricated from premium quality raw material, these pipes find their application in ship building and repair units, car braking systems, desalination plants, condensers and heat exchangers. Available at reasonable prices, these pipes are provided with application specific designs to suit specific requirements of our esteemed clients. Backed with cutting-edge technology, our company offers an exquisite range of Titanium Welded Pipes at highly affordable prices. These continuous rolled and brake press welded pipes are available in various length and outer diameter specifications. We also help our clients to conduct third party inspection prior to delivery of consignment to garner optimum client satisfaction. Backed with years of industry experience, we offer a complete range of Monel Welded Pipes at highly affordable prices. Fabricated from premium quality raw material, these welded and brazed pipes are famous among our clients for their accuracy, tensile strength, robust construction, durability and high functionality. Available in various dimensions, these pipes can be used for various domestic and industrial purposes.